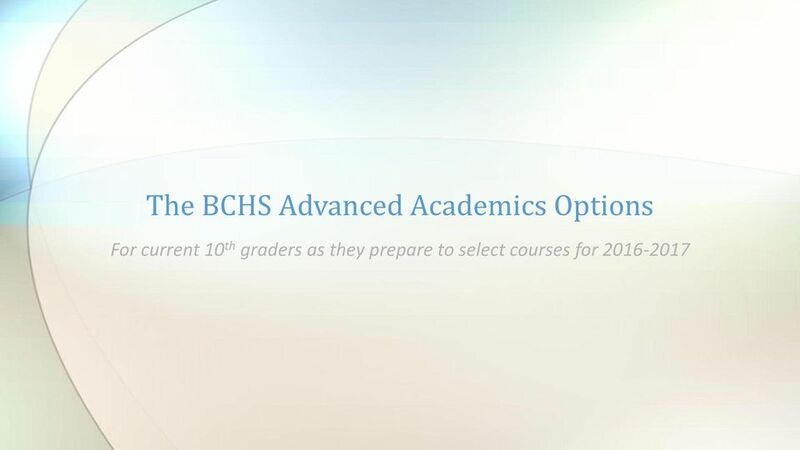 Download "The BCHS Advanced Academics Options. 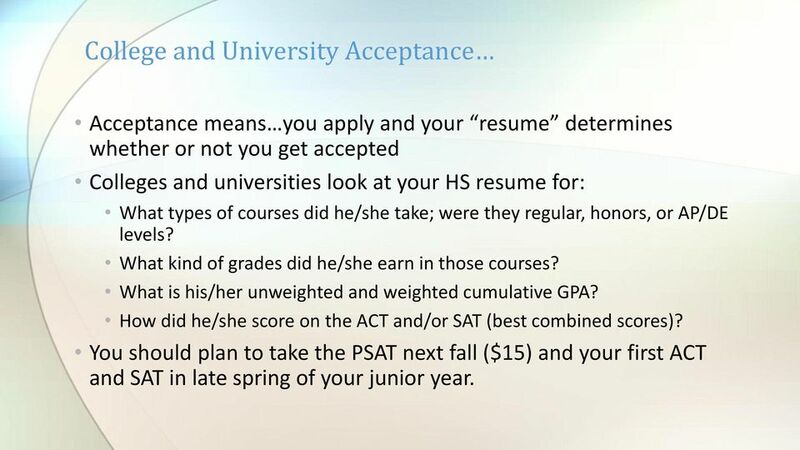 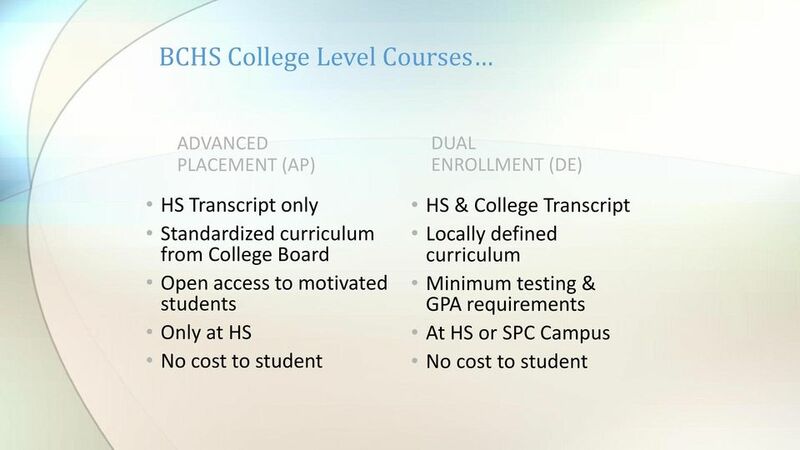 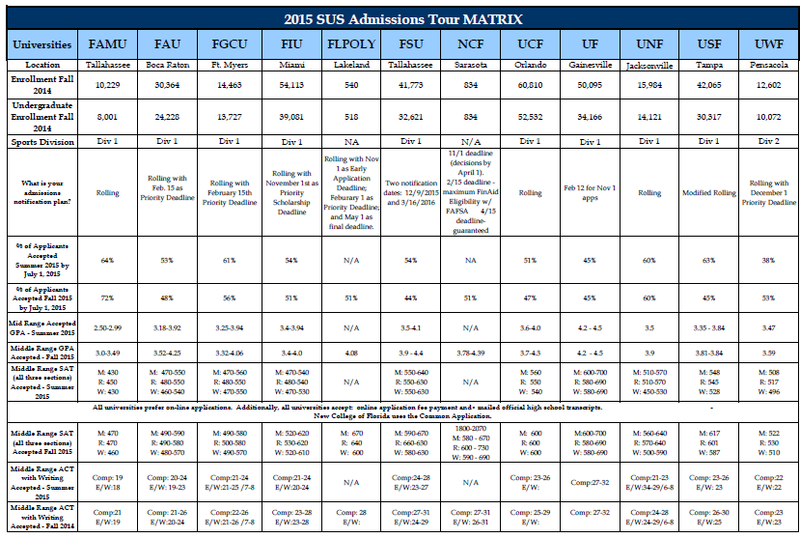 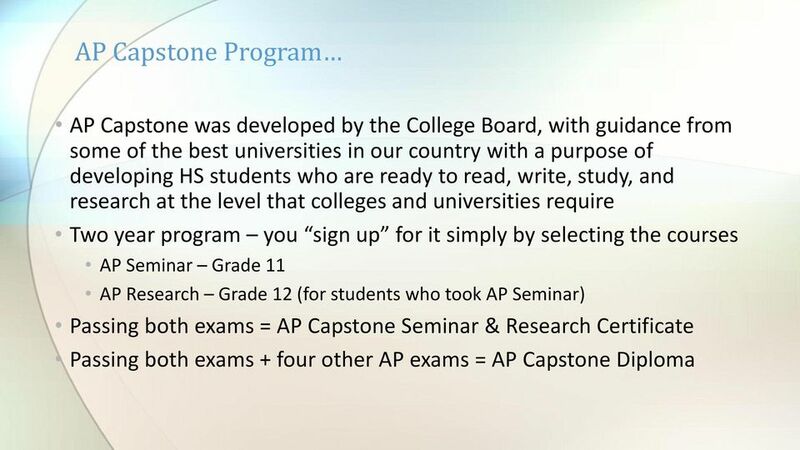 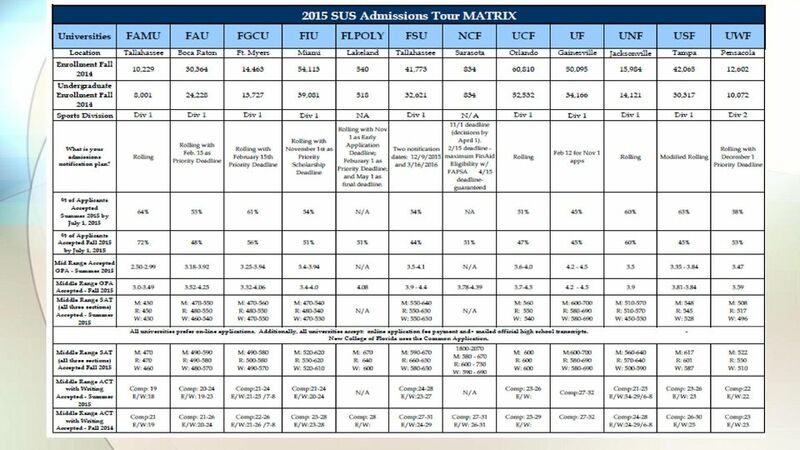 For current 10 th graders as they prepare to select courses for 2016-2017"
9 College and University Acceptance Acceptance means you apply and your resume determines whether or not you get accepted Colleges and universities look at your HS resume for: What types of courses did he/she take; were they regular, honors, or AP/DE levels? 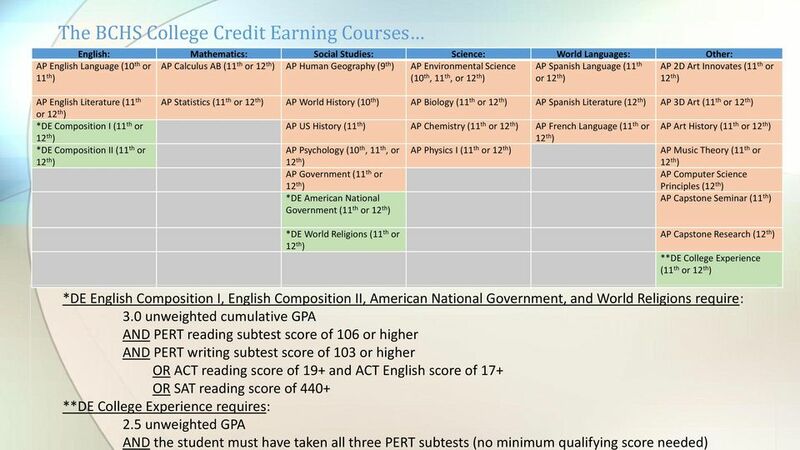 What kind of grades did he/she earn in those courses? 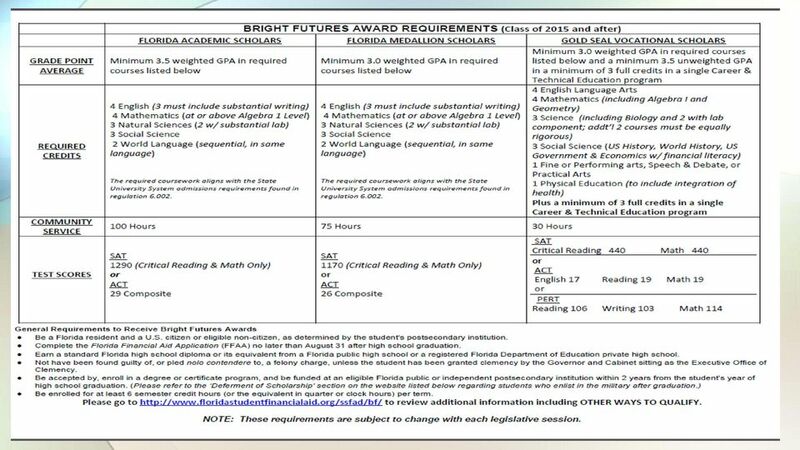 What is his/her unweighted and weighted cumulative GPA? 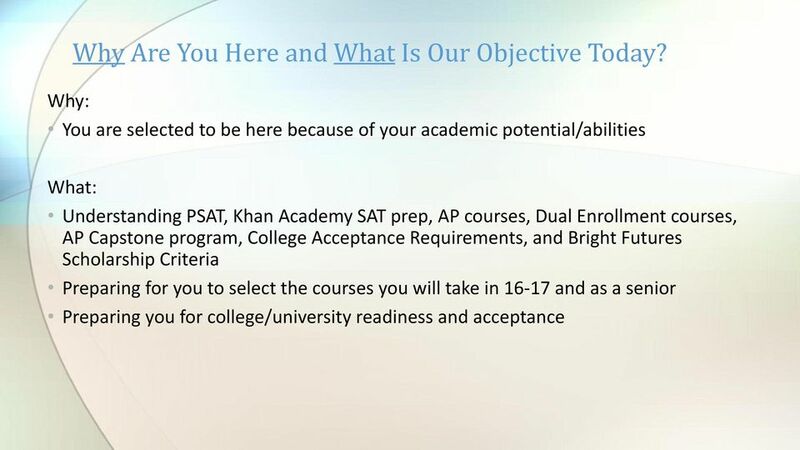 How did he/she score on the ACT and/or SAT (best combined scores)? 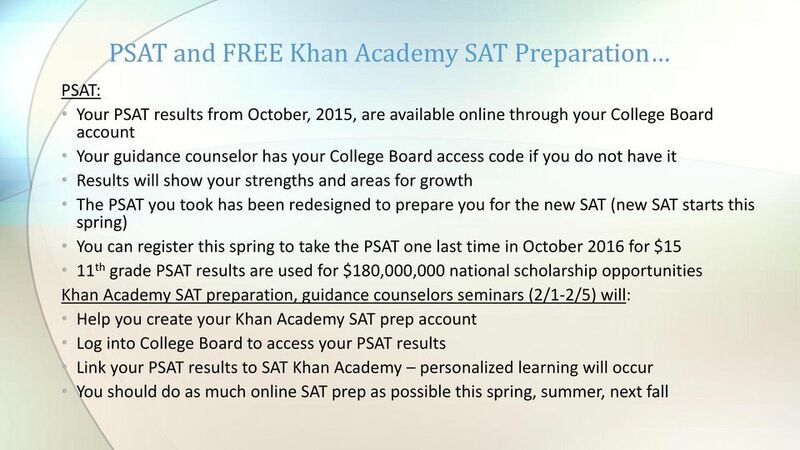 You should plan to take the PSAT next fall ($15) and your first ACT and SAT in late spring of your junior year. 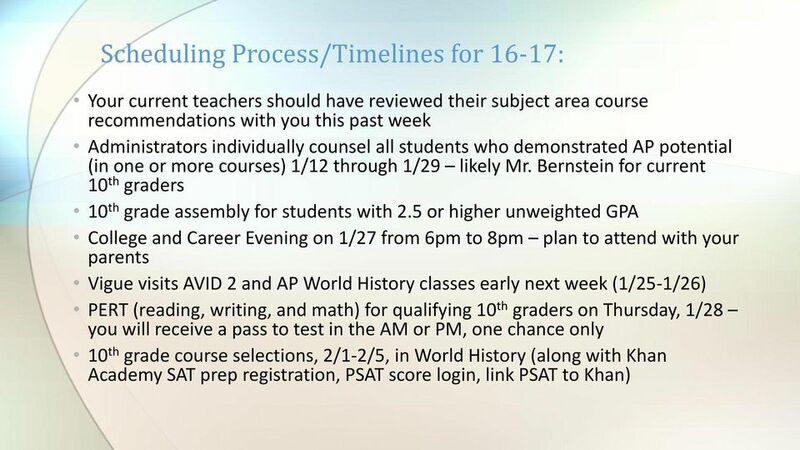 12 Next Steps and Questions? 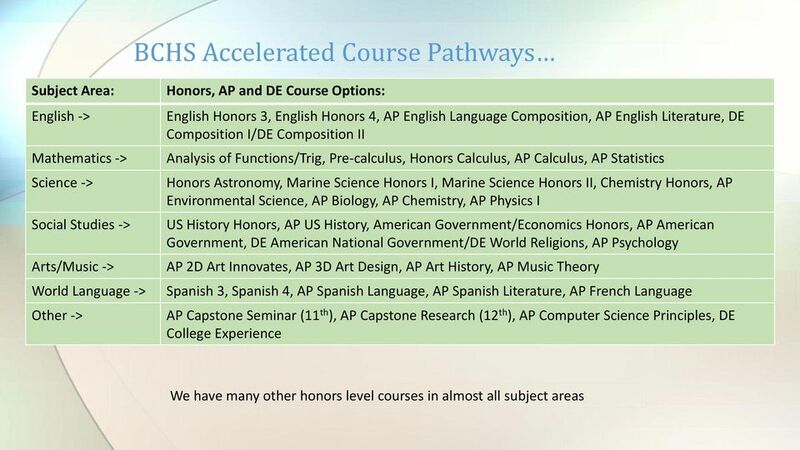 What should you do next? 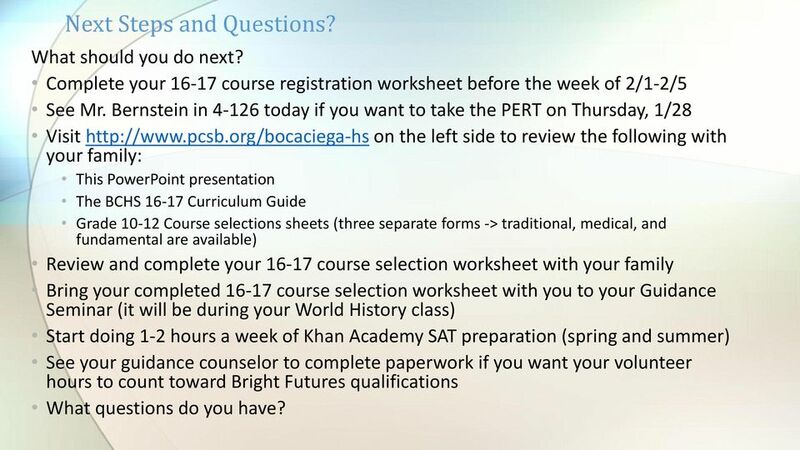 Complete your course registration worksheet before the week of 2/1-2/5 See Mr. Bernstein in today if you want to take the PERT on Thursday, 1/28 Visit on the left side to review the following with your family: This PowerPoint presentation The BCHS Curriculum Guide Grade Course selections sheets (three separate forms -> traditional, medical, and fundamental are available) Review and complete your course selection worksheet with your family Bring your completed course selection worksheet with you to your Guidance Seminar (it will be during your World History class) Start doing 1-2 hours a week of Khan Academy SAT preparation (spring and summer) See your guidance counselor to complete paperwork if you want your volunteer hours to count toward Bright Futures qualifications What questions do you have?